In this Fish Tank Kings video, Francis helps out Tennessee Aquarium curator Thom Demas with an Giant Octopus Emergency. A giant pacific octopus was extremely unhappy in it’s exhibit, and had to be moved to a small holding tank. 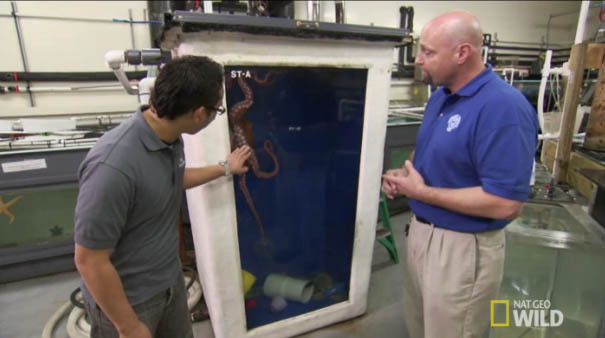 After close inspection, the rock in the octopus exhibit was almost “sponge-like.” A sample of the rock was sent to the lab and PBA was found in the epoxy used, and later on in the water. The toxic chemical, commonly found in hard plastics and some water bottles, used in the epoxy of the artificial rock, can have extremely harmful effects if it leeches out. In this case, the endocrine system of the Giant Octopus was poisoned by the PBA in the exhibit. Fish Tank Kings decided to build a new Pacific Northwest exhibit with no epoxy-based rock. Look out for future updates from National Geographic where we will show you the results. 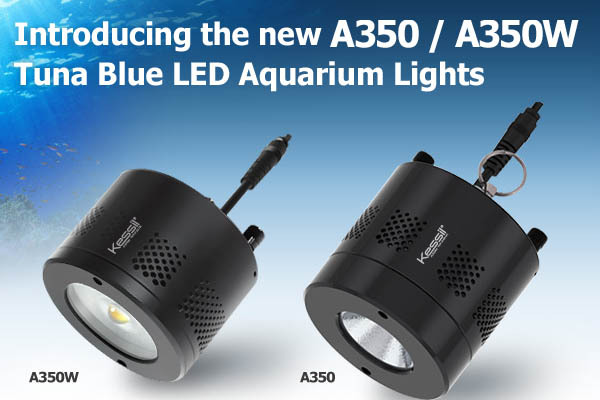 Kessil has finally released some info about a few long-anticipated new products, the Kessil A350 and the Kessil A350W Tuna Blue LED Aquarium Pendants. Ever since the splash of the Kessil A150W, reef enthusiasts have been waiting to see what Kessil is going to do next. 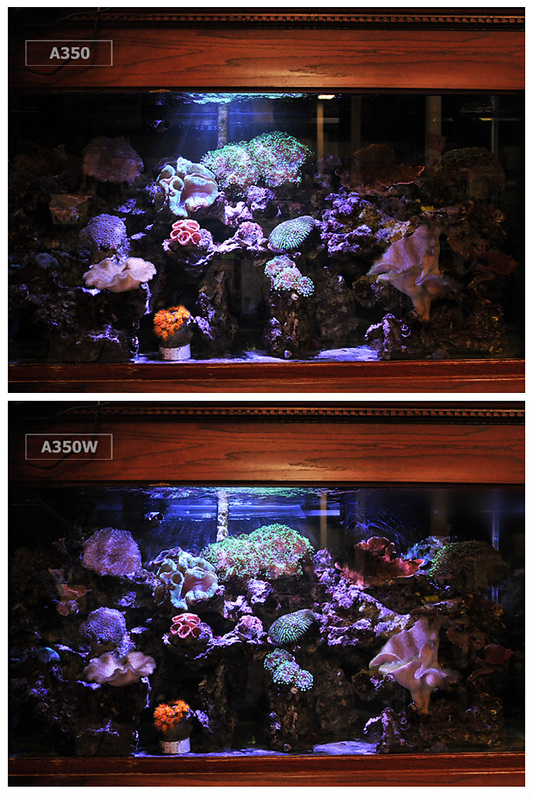 The Kessil A350 provides more than twice the light, of the A150W and is rated at 90W. The A350 models, use Kessil’s dense LED matrix to provide the combined output of many LED chips in a compact form factor. Additionally, this new aquarium LED pendant uses the vapor phase change cooling element to provide long LED life and cooler running temperature. The A350 and A350W utilize 2 control knobs; the first control’s Kessil’s proprietary “Sky Blue” spectrum, while the second controls another one of Kessil’s proprietary spectrum “Ocean Blue.” Since each is independently controlled, each hobbyist, can achieve the color spectrum they feel is best for their setup. The A350 LED is designed for tanks deeper than 24 inches, or where corals require more intense lighting. 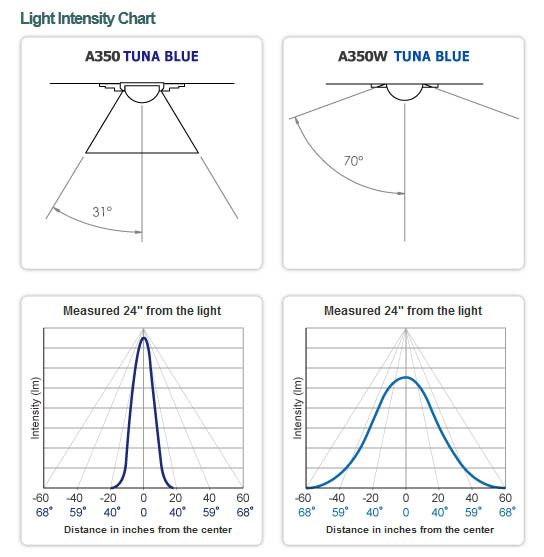 The A350W LED model, offers wider spread for tanks of up to 24 inches in depth. Kessil will be releasing the A350 towards the end of April, and the A350W towards the end of May 2012, each for a retail price of $399. We wanted to get the word out as soon as possible. Get 10% off your next purchase at Live Aquaria (www.liveaquaria.com), Drs. Fosters and Smith (www.drsfostersmith.com). 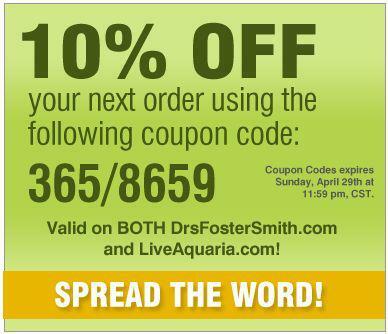 Use this Live Aquaria Coupon to get 10% off some new corals and fish, or use the Drs Fosters and Smith coupon to get 10% off salt, heaters, reef supplements, aquariums, and practically anything else for your reef tank or other pets. Use coupon code 365/8659. This summer, CoralVue will be releasing a 4 stage 100 GPD controllable product-to-waste water ratio RO/DI unit. This sleek RO/DI unit is currently being tested by CoralVue for safety, efficiency, reliability and ease of use. This RO/DI unit comes with a system controller, and a digital TDS monitor which shows your the TDS of the output water. The RO membrane gets flushed each time the system is shut down, which helps prolong the life of the membrane. The unit will auto-shutoff when the reservoir gets full, which results in a completely automated system. 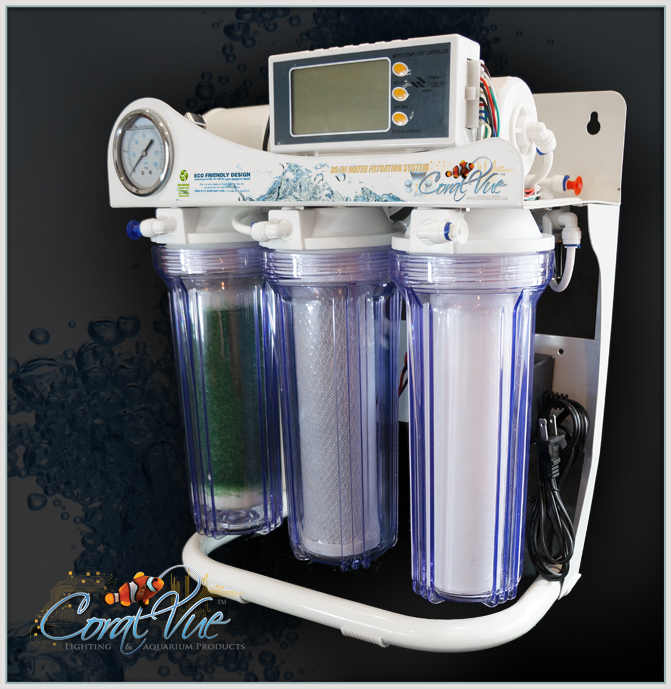 The system is reported by CoralVue to have been tested to produce a ratio of ~1:2 Product/Waste water. A high-efficiency pressure pump ensures water is being moved through the unit at optimal pressure. 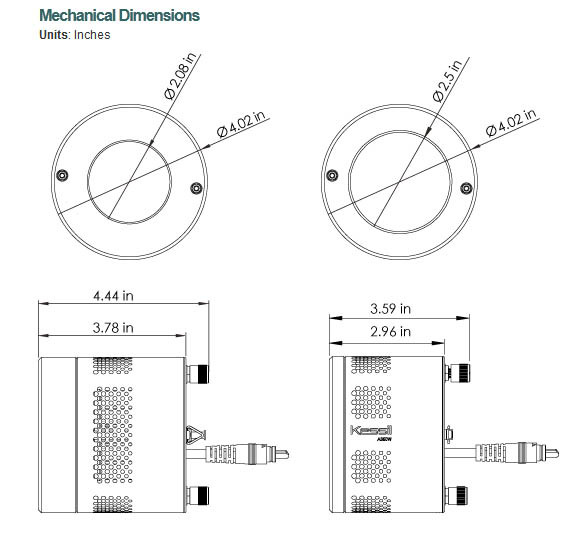 Here is a complete list of features and technical data for this new RO/DI unit. Includes canister & membrane wrench, detailed instructions, installation connection fittings, RO tubing and accessories.